Jays From the Couch debates which Blue Jays has more trade value: Yangervis Solarte or Aledmys Diaz? With the 2018 Trade Deadline about a week away, we continue to hear Toronto is looking at moving the likes of J.A. Happ, Marco Estrada (if healthy), Curtis Granderson, multiple relief pitchers, and others. Who has more value on July 24th, Diaz or Solarte? Without hesitation, Shaun Doyle replied Yangervis Solarte. At which point I questioned why he felt that way. Does Solarte have more value than Aledmys Diaz because he’s shown more power or is it because of his ability to play more positions? This exercise is not meant to debate which player should be traded, rather which player currently has more trade value. Both players are producing league average offense with a Diaz posting a .303 wOBA and 89 wRC+ with a .263 BABIP, .163 ISO, and 4.0 BB% and 13.4 K%. Solarte owns a .308 wOBA and 93 wRC+ with a .241 BABIP, .184, and 6.7 BB% and 14.5 K%. Despite a rocky start to the year and sustaining an injury which required a trip to the DL and a rehab stint, Diaz has turned into a regular contributor in the Blue Jays lineup producing a 0.8 WAR. Diaz batted an ugly .183 with 4HR in 25 games between April and May. He has batted .350 in May (7GP), .280 in June (26GP), and .289 so far in July (15GP) pushing his batting average up to .254 with a .705 OPS. Solarte’s 2018 can be described as inconsistently consistent. He has batted between .250 and .264 across the first four months but has batted just .162 in July (17GP) dropping his batting average to .239 with a.717 OPS. The streaky Solarte has produced a 0.0WAR. According to Fangraphs, Diaz, playing a premium position, owns a 3.6 defensive rating compared to Solarte’s -3.7 Def showing that while Solarte might be able to play multiple positions, Diaz is playing one position at a higher standard. Now, Diaz isn’t at the level of an Andrelton Simmons (14.7) as his 3.6 (if he qualified) would place him 15th in the league between Tim Anderson and Jean Segura. Solarte, on the other hand, has the 4th worst Def ahead of Miguel Andujar, Colin Moran, and Eugenio Suarez. Solarte also holds the advantage in versatility department, spending time at 1st base (4G), 2nd base (24G), 3rd base (66G), and SS (7G) since joining the Blue Jays this past offseason. While Diaz has spent all but 13.1 of his 587 innings at SS appearing 6 times at the hot corner. So yes, if a contending team is looking for power and positional flexibility, Solarte holds more value. Whenever talking trade or value, the controllability of a player and salary needs to be discussed. Aledmys Diaz currently has 1.1 years of MLB experience and is making $2.0M. He is under team control in 2019 and won’t become a free-agent until 2023 as a 32 yr old. Yangervis Solarte currently has 4 years of MLB experience and is making $4.125M. He is signed for $5.5M in 2019 and $8.0M in 2020 before hitting the free agent market in 2021 as a 34 yr old. In this section, we look at how to fill the vacancy if either player were to be dealt. This will provide insight into the value each player has to the Blue Jays, whereas, the above provides value they could provide other teams. It also assumes that players coming back to the Blue Jays in any deadline deal are not viable replacements. Replacing Solarte for the remainder of the season would be a tall task. Obviously retaining the services and the return of the devalued Josh Donaldson would make life easy. The Blue Jays could ride out the string with Russell Martin at 3rd base, bringing Danny Jansen up from Buffalo to platoon with Luke Maile for the final two months. At Triple-A, the Jays could recall Gio Urshela, or Jason Leblebijian has been league average with a .320 wOBA and 100 wRC+. Both would provide a decent bridge for the rest of 2018, although hard to watch. A bridge for Vladimir Guerrero Jr who we all expect to be the Blue Jays everyday 3rd baseman in 2019 and beyond. Replacing Diaz isn’t a much easier task. Toronto can turn to Lourdes Gurriel Jr. who is already making positive impressions with the Blue Jays but he is far from a guarantee in the field or at the plate. Troy Tulowitzki is a shot in the dark if he ever gets healthy, he would easily fill the void. Richard Urena is also an option but he has struggled in Buffalo providing the Bisons with below league average production (.269 wOBA and 64 wRC+) but the skills are there and has batted .283 over his last 10 games. 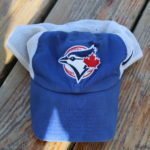 If we can agree that 2020 is the year the Blue Jays will begin being competitive after a bridge season in 2019. With that in mind, the Blue Jays aren’t likely to be ready for playoff contention until 2022 or 2023. The Blue Jays need to trade players like Solarte and Diaz while their value is high(er) but I am not sure that Toronto can afford to trade both players this season; however, the return for Diaz has a chance to be higher and easier to replace in the infield than Solarte who could become a core piece if he stays in Toronto. Which player has more value? 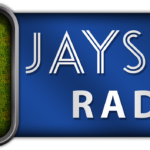 NEXT Next post: July 24th Blue Jays Minor League: Better Late than…..